Freedom Pilates was founded in 2009, by Shahana Noor. It was formed to meet the demand of supporting people who experienced continuous back issues and pain. More than 80% of the adult population suffer from low back pain at some time in their life. It is one of the most common reasons why people take time off work, and may be distressing and frustrating as quality of life often suffers. Freedom Pilates will teach people to engage and strengthen 10 core muscles. Improving posture and preventing injury. Pilates will also help towards a lean toned physique. 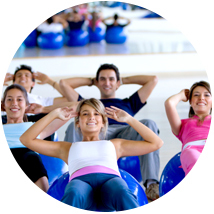 Excellent Pilates classes in a modern, fun environment with a passion for teaching. You can book a class now online. Freedom Superfoods owner Shahana Noor, started promoting the amazing benefits of superfoods, after having an adverse affect on prescribed medication for an Overactive Thyroid condition.